A while back I mentioned the craziness of my morning commute into Tokyo, and now X weeks later I’m finally sitting down to detail it. Japan is amazingly efficient in many aspects of society, but especially with public transportation. You’ll almost never encounter a delayed bus or train unless there’s an accident. (Quite different from the US). The most “exciting” AKA most difficult and unbearable part of the ride was the ~45 minute Odakyu Express to Shinjuku, right in the heart of morning rush hour. not my photo, but you can imagine how PACKED the inside must be to have people almost hanging outside of the train. If I was somewhere in here, you’d never know! By the time I got onto the train I’d never be able to sit. Japanese people are amazingly proficient and filing themselves into spaces that you thought couldn’t possibly fit more. Sometimes there would be so many people that I’d be squashed uncomfortably between other passengers. In these cases I’d have to consciously take deep breaths and stop myself from wanting to fall down from heat exhaustion. (I wouldn’t have had space to fall down anyway.) Luckily there were also days where I’d have enough room to wiggle my elbows a bit. I spent every morning reviewing my 40 or so vocab words for the next quiz- and also hating every sitting passenger around me. I only commuted for three weeks during summer vacation, so I have absolutely no idea how it could get more crowded with hundreds/thousands of students adding to the salarymen and women. New Japanese trains are extremely convenient because not only are they always on time (signs will let you know if there has been a delay), they also tell you exactly where you are in electronic signs that alternate between Japanese and English. They switch from the name of the final stop on the line, to the upcoming station, to little moving depictions of the train from your current stop to the next. They also remind you if you are on a Local (blue), Express (red), or Rapid Express (my favorite because they stopped only 3 times before my destination- in orange). In the early hours of the morning, the first and last train cars are usually reserved for women to prevent incidents of sexual harassment during Rush Hour. To pay for this I used a special one month bus pass programed specifically from my starting stop (Machida) to my ending stop (Shin-Okubo). This included the transfer from the Odakyu to JR Yamanote Lines. A nice part about having this pass was that once I paid (quite a bit of money…) for it, I was able to freely commute between any of the stops in between. This was great for the weekends when I wanted to go to various places in Tokyo! 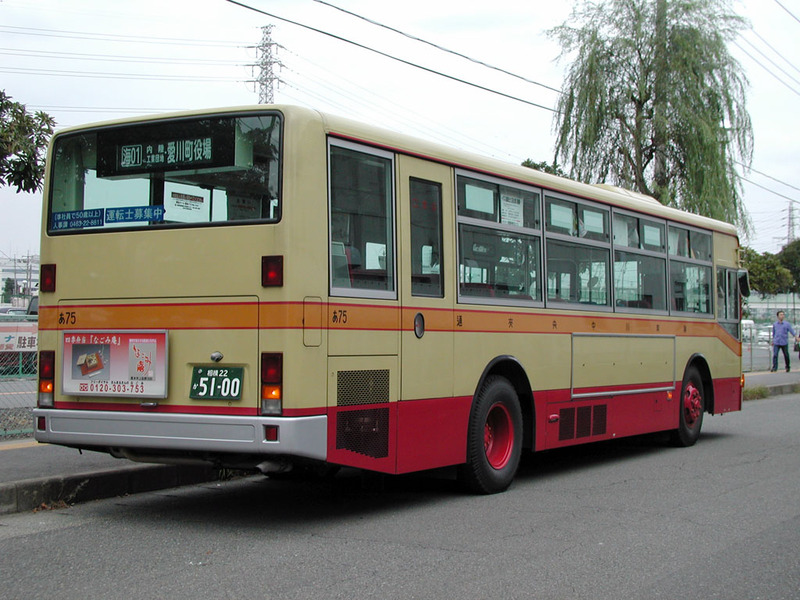 Kanachu (short for Kanagawa-Chuo) buses were also a large part of my commute to and from school. Something interesting about Japanese buses is that not only is there an automated voice telling you your current stop, your next stop, and attractions at the upcoming stop (if any), the bus driver is also constantly talking. Bus: 発車いたします。ご注意ください。 The bus is departing. Please be careful. Driver: *muttering* よしよし、発車しま～す。ご注意くださ～い。There, there, we’re “taking off” now. Be carefulll. Driver: 右に曲がりま～す。捕まえてくださ～い。We are about to turn right. Turning right. Hold on tightly. Bus:　次に止まります。 We will stop at the next stop. 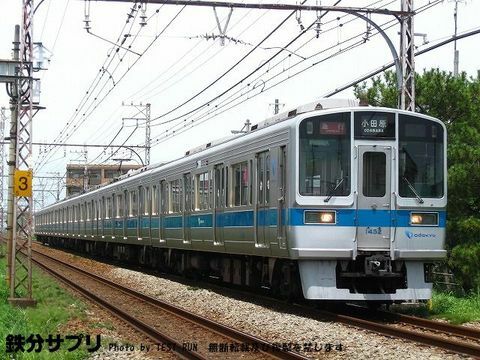 Driver: は～い、次に止まります。 Yes, stopping at the next stop. I think this is an excellent opportunity for all bus drivers to show off their husky voices, though most of them mutter quietly in what sounds like “hushushush” sounds. They also get to act cool by pointing at each of their mirrors with their white-gloved-fingers after every stop. Once they’ve checked and all is clear, they go forward purposefully as if they haven’t been driving the same routes all day every day for the past X years. Usually in the morning I would be able to sit down and review grammar points that I’d be going over in class. These passes also work for trains. Although my classes are finished now I continue to put money into them for convenience’s sake. I’m glad to be done with my long commute, but it was definitely an interesting and unforgettable experience. P.S. My college admissions essay was about a crowded rush hour train in Kyobashi, Osaka!